The Foundation offers two broad categories of scholarships. 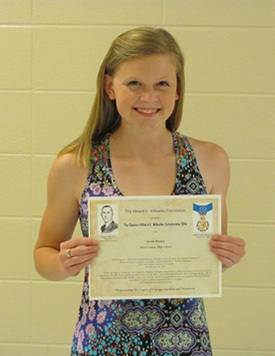 Hilliard A. Wilbanks Scholarships which are awarded annually to qualified students. Named Scholarships where the Foundation will manage and award a scholarship honoring a service member under an agreement with the donor. Follow the scholarship links on the right to see more about these programs. 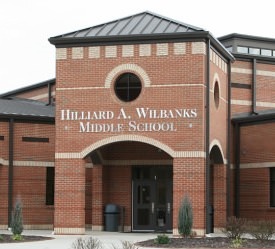 Maintaining close contact with and helping sponsor student activities at the Hilliard A. Wilbanks Middle School in Habersham County, Georgia is one of our missions. The middle school was dedicated in Captain Wilbanks' honor in 2011. Through the Wilbanks Middle School we have regular interaction with students, encouraging actions that would be in keeping with our Nation's honor. We provide books on American history to students who exemplify these ideals. On a perpetual basis we provide and maintain a museum which gives students an opportunity to learn more about the Vietnam War and the Medal of Honor. In addition to scholarships, the Foundation offers educational support through a number of other channels. 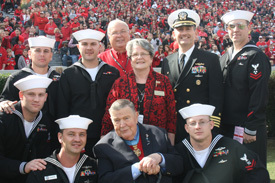 These include public school education about the Medal of Honor, and sponsorship of Georgia's Medal of Honor recipients to Veteran's Day events.